The Outbreak is a great offering from Onix, with several features that make it ideal for those seeking maximum stability, as well as seasoned tennis players. Feel - The grip instantly reminded me of holding a tennis racket, with a larger diameter and distinctly "square" feel. This made it feel incredibly secure right away. I noticed no slip or need for grip adjustment throughout the games. For those who keep an index finger of the grip, the difference was even more noticeable in how much contact the grip kept with my other 4 fingers at all times. Paddle Design - With a wide face and above average thickness, you might expect the paddle to underperform in the precision department. However, the shots remained consistent throughout the entire paddle face, making for a larger margin of error when making contact with the ball. 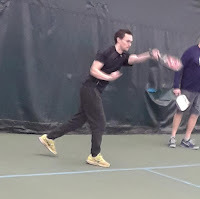 The textured face allowed for good ball control, and felt almost as though the paddle were catching the ball before quietly sending it back, emphasis on quiet. This is ideal for tennis players who are used to a larger backswing, as the paddle size, consistency throughout the face, and soft touch create a more forgiving response all-around. Weight - The paddle is lighter than it looks, and by no means a power paddle. It was harder to send the ball out of bounds than I expected. Smashes were more accurate with less velocity, and felt very secure to execute. This is what I liked the most about the paddle. This paddle is best suited for players transitioning from tennis, players who struggle with hitting shots out of bounds, players with larger hands, and players working to decrease their back swing habits. It is a forgiving paddle with good ball control and ability to minimize mistakes. 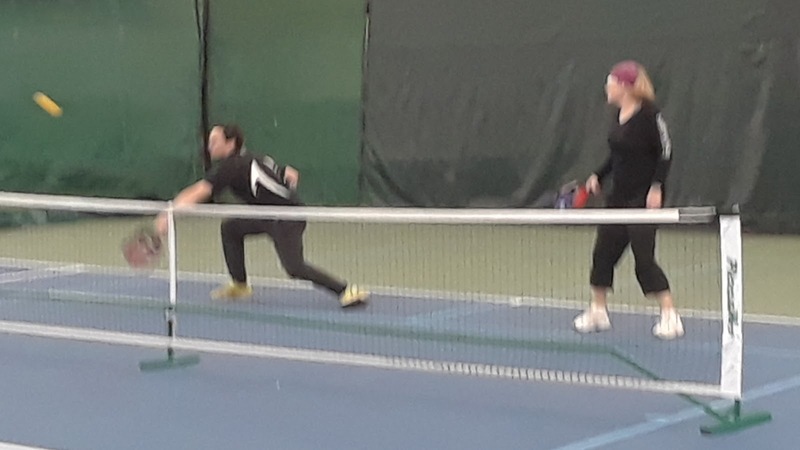 Thanks to Pickleball Central for providing the paddle to demo!